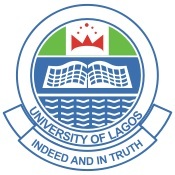 We’ve just confirmed that parents, guardians have taken to the street, and gone to the front of the University of Lagos (UNILAG) gate, where they are protesting over the Unilag admission cut-off mark for 2015 session. 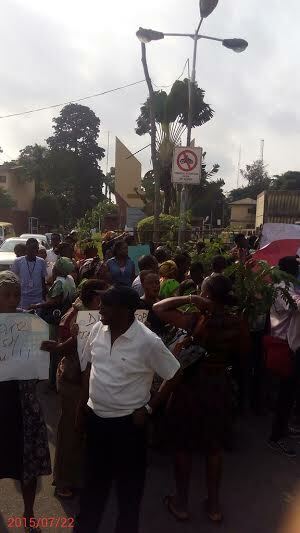 Reports reaching us today, is that some aggrieved parents are now, currently staging a peaceful protest in front the University of Lagos gate. 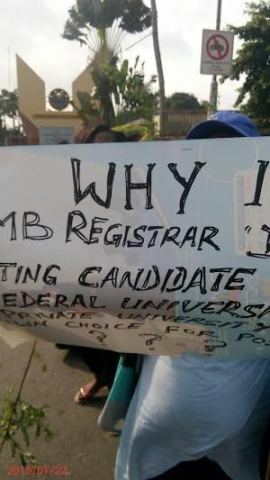 However, this is the main reasons why the parents say it is unacceptable as the cut off is purely unattainable by several students who choose the school as their preferred school of choice. 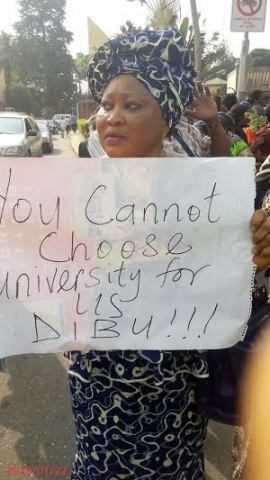 The aggrieved parents discloses that this cut off marks will disqualify their children from gaining admission into the university. More details are coming soon, but as at the time of writing hitting the publish button here on Dailyschoolnews educational news publishing desk, the parents are still holding a peaceful protest.